Opening hours: Shops in Mumbai are generally open from 10am-8.30pm, depending on the area. Some shops stay open later. General banking hours are from Mon-Fri 9am-3pm and Sat 9am-1pm. 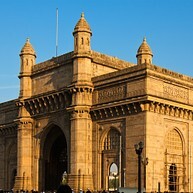 Suggestively located, the iconic Gateway of India overlooks the Arabic Sea and dominates the port with its majestic figure. Built to commemorate the visit of King George V and Queen Mary in the 1911, it is now a major draw for tourists thanks to the lively atmosphere that buzzes with vendors and street food. 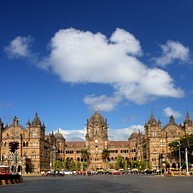 An historic railway station and UNESCO heritage, Chhatrapati Shivaji Terminus blends designs of a British architect with the expertise of Indian craftsmen, giving the eccentric construction uniqueness and an extraordinary Victorian Gothic style. Once the Crawford Market was located between the British fort and the local town, built in 1869. It is more a throwback to a Victorian market than modern day India. The friezes on the exterior walls and the stone fountains in the interior are designed by Lockyard Kipling, father to Rudyard Kipling. Gobs of fresh fruit and vegetables are sold here including ‘smuggled’ chocolate and cheese. 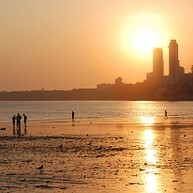 Being a polluted metropolis, Mumbai is certainly not renowned for crystal-water beaches and white sand. Chowpatty Beach more than an idyllic place, is a gathering point that, with its myriad stalls, offers delicious street food and a buzzing atmosphere. At sunset, people flock down the quaint coastline that transforms itself into an open-air fair with pony rides, fortune tellers and local snacks. Located in the heart of the business district, Flora Fountain is a popular Mumbai landmark and built in 1864, it has become a heritage structure. Made of Portland marble, its namesake is the Roman Goddess of Flowers and the Season of Spring. Located in the heart of Mumbai, The Shree Siddhivinayak Ganapati Temple honors Lord Ganesh, the most revered god within the whole of India. Dating back to the 1800s, it features majestic altars and the idol of Shree Siddhivinayak carved out of a single black stone. In the western outskirts of Mumbai, the stunning Kanheri Caves are laid in the middle of the majestic Sanjay Gandhi National Park. 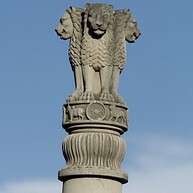 Carved out of rock mountains and with an history that dates back to the first century BC, they are existing proof of the Buddhist influence on India. The surrounding forest is also spectacular, featuring an area full of waterfalls and local flora. An evocative view stretches upon the horizon, workers bent over piles of clothes and a pungent scent of soap mixed with smoke - Dhobi Ghat, the world's largest laundromat, is still a reality in Mumbai. 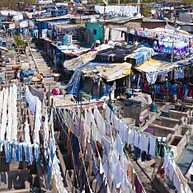 Thousand of clothes pass through the 700 stone washing platforms everyday and are quaintly hanged on intricate dry lines, in a colorful show that is one of a kind. 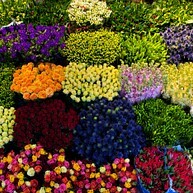 The colors of India are all here - red, yellow, orange, blue. 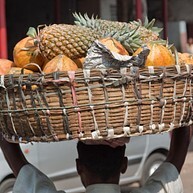 Dadar Market is a delight for the eyes and a real feast for photographers. The bustling atmosphere buzzes with people from the early hours, in a spectacular event that has become a major draw for tourists. Recently inaugurated, the pompous meditation hall has become a major attraction in Mumbai. 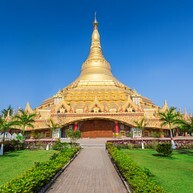 Loved for its golden decor and the massive dome, the pagoda is surrounded by nature which makes the stunning construction a perfect destination to achieve inner peace. 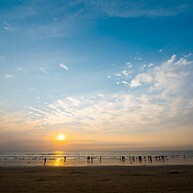 Juhu is of the most popular beaches in Mumbai: a perfect place to get a tan and enjoy the marine breeze during the day and a meeting point in the evening. With plentiful food stalls and vendors, it becomes deliciously lively at sunset. Located on Elephanta Island, the 5th-8th century ancient caves represent a perfect solution for a day trip. The network of rock-carved caves is an important world heritage site, boasting magnificent sculptures and architectural wonders. Associated to the cult of Lord Shiva, it is a place where the peace of the senses reaches a whole new level. Situated on a small hill in the southern part of the city, Malabar Hill represents the most extraordinary vantage in central Mumbai. Surrounded by upmarket residential areas, it is home to the ruins of the world heritage Walkeshwar Temple that, with its almost a thousand years, is one of the most ancient temples in town. The popular Baganga Festival of Music is usually held here in January. 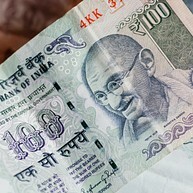 Architect of a form of non-violent civil disobedience, Gandhi was a spiritual and political leader whose influence stirred a nation, if not the world. The Gandhi Museum, once house of the man who defined modern India, now preserves his spirit, showing, every now and again, films about Gandhi and his speeches and guarding a library partly dedicated to his prominence. Inspired by the most revered figure of Jawaharlal Nehru, prime minister and leader of the Indian Independence movement, this diverse artistic hub consists of a Planetarium and a permanent exhibition that covers every aspect of India´s development and culture. Committed to promoting emerging artists, it also displays new talents, aiming to inspire new generations of young Indians. Special arrangements are made to watch, study and photograph solar and lunar eclipses, and many similar events. 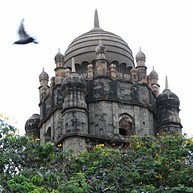 Located just behind Victoria Terminus, the largest GPO in India was completed in 1913. The imposing edifice is the template for the Indo-Saracenic architectural style and includes high vaulted ceilings and marble topped tables in the interior. 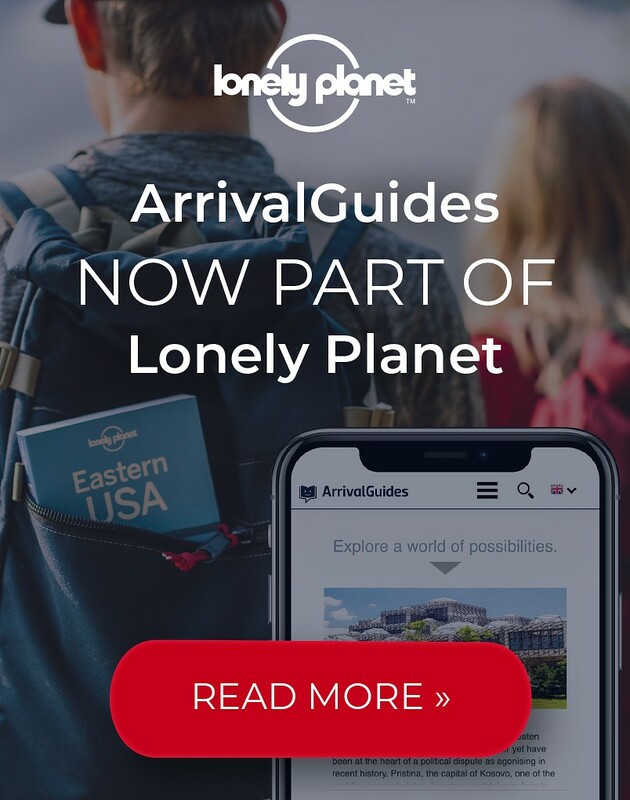 It is certainly well worth a visit.